The Time for Accountability is now! A Discussion of How Both the Private and Public Sector are accelerating the Move to Accountability. 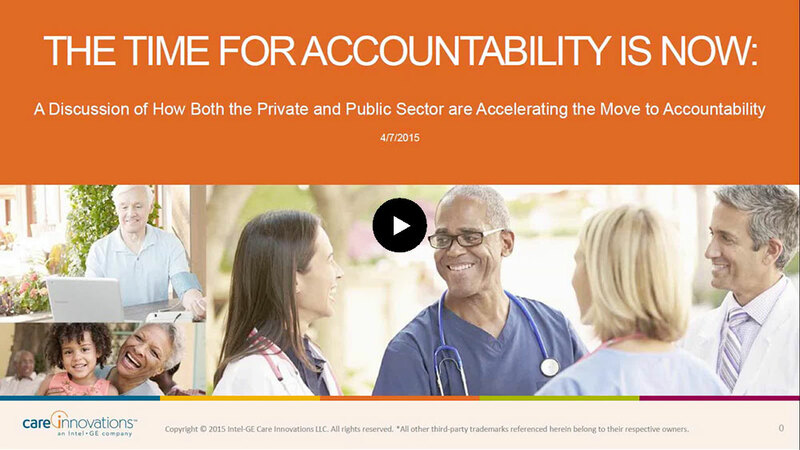 In this presentation, we discuss how the move to accountability is accelerating with two recent announcements tying payments to quality and alternative payment models and the creation of a new healthcare task force consisting of major health care players who have committed to putting their businesses in value-based arrangements by 2020.